The first phase of the planned $800 million redevelopment in Poppleton officially opened Friday. 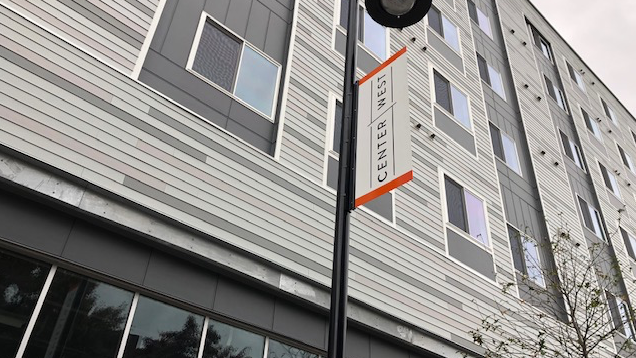 Center/West is preparing to lease its first 262 apartment units this month. The massive West Baltimore development in Poppleton near the University of Maryland BioPark has been in the works for about 14 years. Mayor Catherine Pugh and City Council President Bernard C. “Jack” Young on Friday joined developer La Cite Development LLC to cut a ribbon. “The vibe is one of open arms and excitement based on a neighborhood of inclusion for all,” said Dan Bythewood Jr., co-founder and president of La Cite. When complete, Center/West will have a total of 2,853 rental units — and 20 percent will be low-income and workforce apartments. The development will also hold 250,000 square feet of commercial space and secured structured parking. 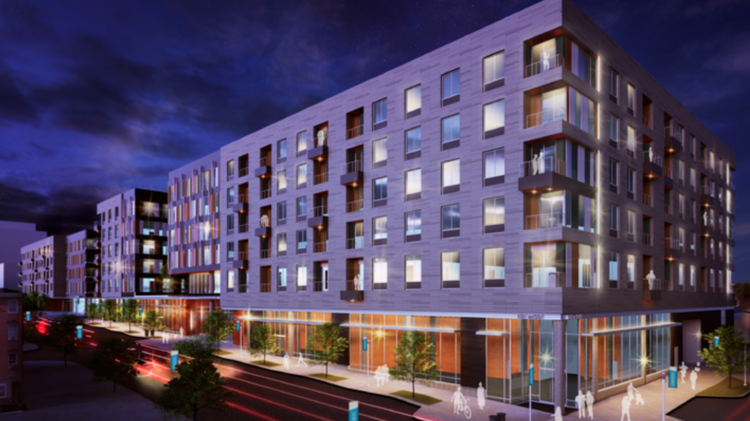 The first two apartment buildings will hold 17,500 square feet of retail on the street level. The development also has a dog park off of Amity Street near the historic Edgar Allan Poe House, which is located adjacent to Center/West in the Poe Homes public housing project. That project could be in line for a redevelopment in the coming years, the U.S. Department of Housing and Urban Development said in September. Other redevelopment is also ongoing in the area. 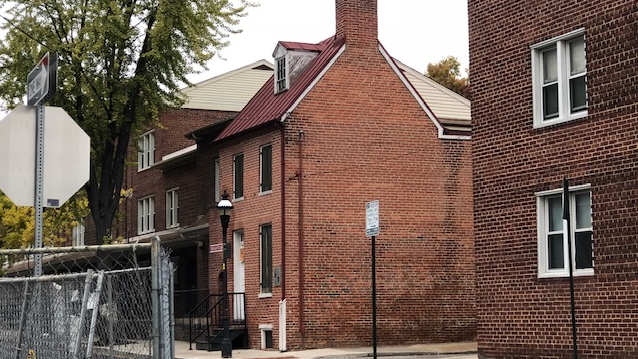 Developer Scott Plank’s War Horse Cities CDC has been in negotiation with the city for a major overhaul of the 172-year-old Hollins Market near Center/West. Plank has also purchased about 60 properties in the Poppleton neighborhood for redevelopment to attract homeownership and new businesses as well. The historic Edgar Allen Poe House on Amity Street is adjacent to Center/West. The Center/West project was financed mainly by Key Bank, but the development was delayed for nearly 14 years because of financing woes. Those issues lifted nearly two years ago and the tenants are expected in December. The city awarded the Center/West a $58.9 million tax increment financing package in 2015. In early October, Bythewood co-sponsored a street festival near Center/West to mark the International Edgar Allan Poe Festival. More than 3,000 community residents and visitors attended the two-day event.